Gaggenau’s grand architectural statement: the ‘Gaggenau Home’. EuroCucina, Salone del Mobile 2018. 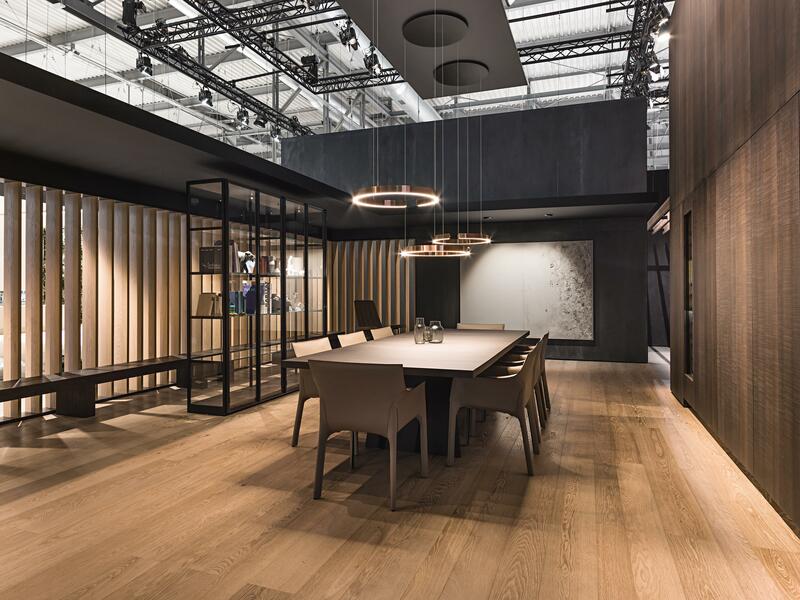 Milan/Munich, April 2018: Gaggenau, the luxury brand for professional-grade home appliances, unveiled the ‘Gaggenau Home’ at EuroCucina, 2018. The brand achieved an extraordinary turnout, determined by the perfect execution of the booth design – inspired by grand architectural statements. The ‘Gaggenau Home’ focused on an open-plan kitchen and living space, which hosted a suite of Gaggenau appliances such as the new Vario cooling series, baking, coffee and cooking appliances. The home also included a garage, foyer, living area and outdoor space, all seamlessly connected with the use of authentic, pure materials and a discerningly designed interior structure. 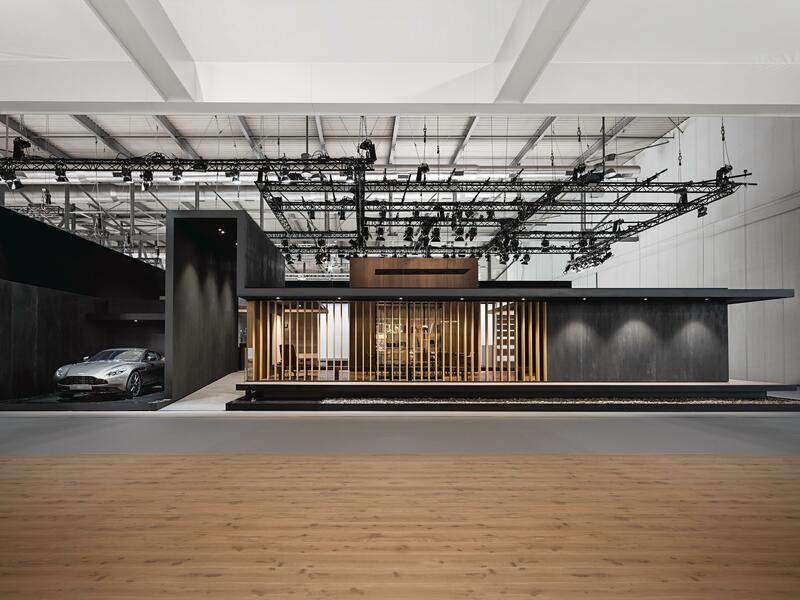 Whilst creating a booth concept of this magnitude, long-standing partners, architectural firm einszu33 led by Hendrik Müller and Georg Thiersch, deconstructed the sentiment of grand architectural statements. Visitors to the booth experienced an aspirational insight into Gaggenau’s vision, perfectly articulated through a sequence of architectural gestures. The home reflected with precision, the harmony between the rituals of domestic culinary culture, and the functional and aesthetic aspects of sophisticated, centralised living. Sven Schnee, Head of Global Brand Gaggenau, commented: “We utilised this opportunity to showcase our newest range of appliances, the award winning* Vario cooling 400 series, and its ability to integrate with our ideal of the future contemporary home. Our views have been based on the scale and design of this new range, and their ability to go far beyond the kitchen. We feel this is something we have achieved with great success, through the creation and exhibition of the ‘Gaggenau Home’, an architectural statement that communicated our vision of a living space that holds no bounds. To complement the ‘Gaggenau Home’, Gaggenau collaborated with a series of likeminded, highly respected brands. Curated pieces featured as part of the home included: an Aston Martin DB11; interior wood fittings from Schotten & Hansen; modern furniture from Walter Knoll; lighting installations from Occhio; a bespoke piece of art from Eduard Micus; one decorative shelf from Porro; porecelain sculptures from Porzellan Manufaktur Nymphenburg and a selection of fine wines from Sotheby’s Wine. *The Gaggenau Vario cooling 400 series, iF 2018 product design award in Gold. For 65 years, the iF design award has been recognised as an arbiter of quality for exceptional design. The iF label is renowned worldwide for outstanding design services, and the iF design award is one of the most important design prizes in the world. 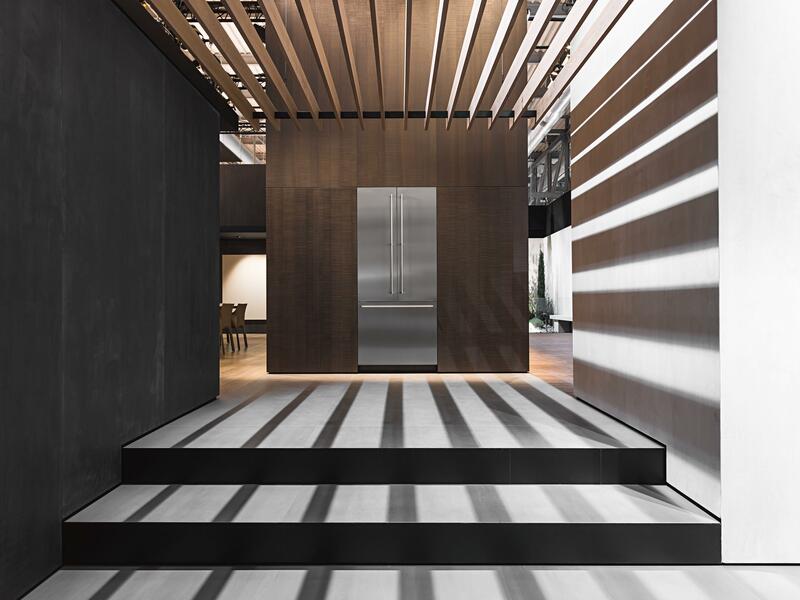 Gaggenau and einszu33 have built their successful partnership for more than 10 years with a close cooperation for the design of global showrooms, trade fair exhibitions and exclusive events. einszu33 creates unique spatial experiences that connect people with international brands. Under the leadership of Hendrik Müller and Georg Thiersch, the Munich-based studio is ranked in the top 50 of the most considered agencies of the German creative industry. Gaggenau at EuroCucina 2018 – cooling wall concept. Gaggenau at EuroCucina 2018 – the Gaggenau Home. Gaggenau at EuroCucina 2018 – a grand architectural statement. Gaggenau at EuroCucina 2018 – design and innovation. Gaggenau at EuroCucina 2018 – beyond the kitchen. 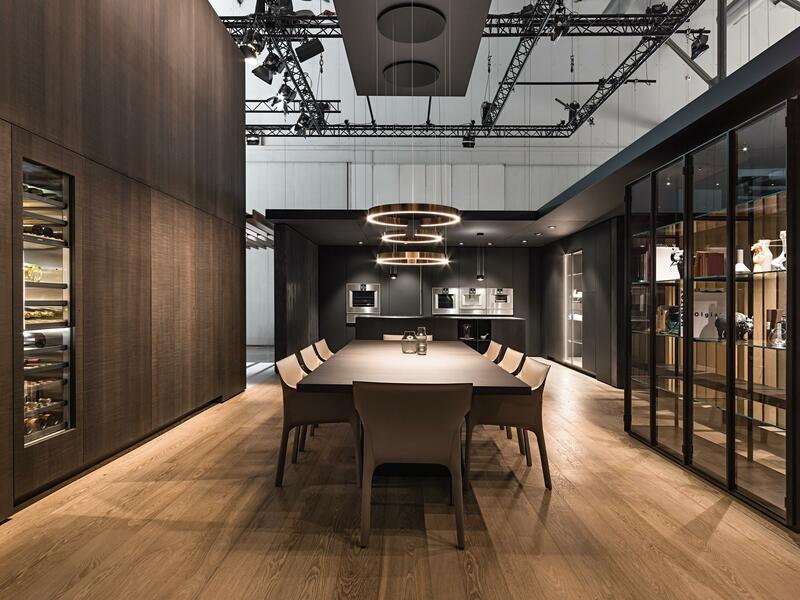 Gaggenau at EuroCucina 2018 – visonary living space.